The BMW M235i. It's fast, it looks aggressive, and it's got M badges all over it. From there you might deduce that it's a proper M car like an M3 or an M5. But it isn't! Here's why, and what that means for the rest of the M brand. 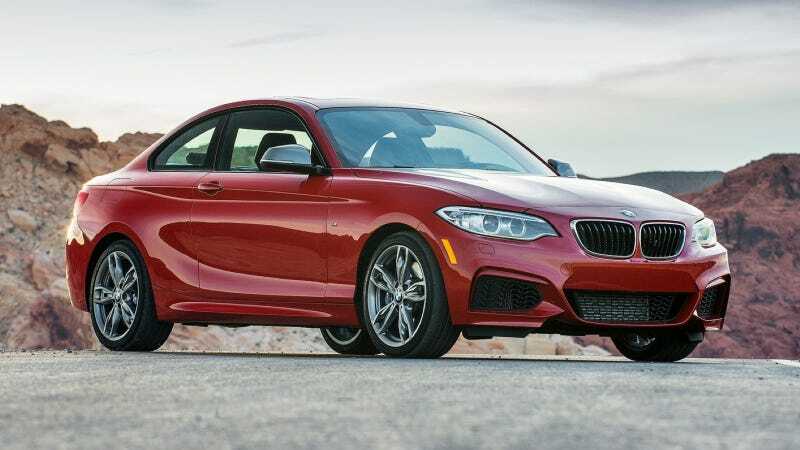 Just when you thought BMW's naming strategy couldn't get any weirder, Automotive News reveals to us that the M235i is actually an MPA, not an M. No, I don't mean Master of Public Administration, I mean M Performance Automobiles, a new line BMW is launching in the U.S. with the top 2-Series. The MPA models are BMW's attempt to offer the enthusiast a sporty but moderately priced model similar to Audi's S line, which is a step down from its top-tier RS cars. "The tradeoff is the core M models are developed for use on the racetrack, but you can use the car daily," said Friedrich Nitschke, who heads the M subbrand worldwide. "We are not so focused with the MPAs. "We add horsepower, but in the M we develop our own engine and our own suspension and most of the parts." The MPA models have a sportier interior and performance tuning with a stiffer suspension and beefier brakes. Body work has been added, such as a front apron and door sill strips with aluminum inserts imprinted with M235i. So basically, MPA puts M in the names of these sportified versions of more pedestrian BMWs , but they aren't developed by the M group themselves. But does this water down the M brand as a whole? BMW hopes not. They say they hope the M235i will draw in buyers younger than the 40something 3-Series crowd who can serve as "brand ambassadors" (and that is easily one of the most loathsome terms in the entire English language) for the rest of BMW. Will the U.S. get more MPA cars? Maybe, if the M235i sells. Get to work, brand ambassadors! The MPA brand isn't going to ambassadorize itself.